My mom and dad are both light, but I’m brown. Like, a caramel, butterscotch, toffee complexion, but some people still refer to me as a light skin girl. Whatever, it’s all good. 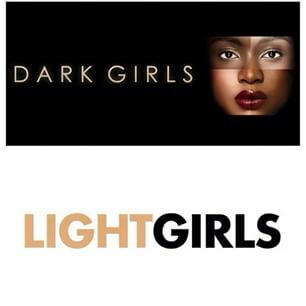 It seems to me that when “Dark Girls” came out everyone was cool and understanding, but once word got out that “Light Girls” would air then there was a problem, as if light girls don’t have their own struggles. I watched the “Light Girls” documentary and identified with some of the commentary, and was taken aback by some of the things the guys had to say. (I think that segment could have been left out completely.) In all, I understand that colorism still exists, BUT…we’re all Brown girls, facing a lot of similar struggles in society. Remember, we are still Black. Since my mother is a lighter shade, she wrote a poem about “Light Girls.”. Read it below and feel free to leave your thoughts in the comments section. ‘Cause My Birth Certificate Says I’m Bright? Or Not Satisfied With Your Own Face? One Is No Better Is What I Say! Previous Hip Hop Artist Wriott Talks Music, Injustices in the System, + MORE! I love this! I still find that there are differences in treatment based off of skin complexion. But there are many similarities. So does this mean that brown skin girls don’t have either of these challenges or are they the culprits doing the bullying? Hey there! Thanks for reading. I’m brown skin but people still put me in the light skin category so I faced some of the same issues as the girls in the documentary. I don’t think Brown skin girls are the only ones doing the bullying; that could happen from anyone.